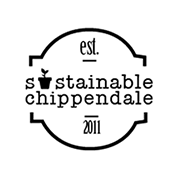 We are very excited to announce that a group of third year Communications students from the University of Technology, Sydney (just over the road) have selected Sustainable Chippendale as their focus for on of their final assessments in their degree. The project has charged them with producing some communication "products" (websites, newsletters and the like), that help us, Sustainable Chippendale, better address the needs of our community. A key part of their work is going to be getting in contact with our members and finding out how people are involved in the projects, how they heard about us etc.They will be making contact with us through our blossoming facebook group, and via email for those who are part of our mailing list. If you would like to find out more about what they are doing, or would like to talk to them please get in contact with Amelia (who is leading the research) at amelia_cleary (at) hotmail (dot) com .